For potential buyers, the kitchen is the room that can make or break the sale. An upgraded, attractive kitchen can make or break the sale, as well as determine how much money you’ll make on the house. Ideally, your kitchen renovation should earn a 70% return on investment when you sell your home. Read: The Dos and Don’ts of Remodeling. But this depends on the features you choose, how much you spend remodeling and whether your priority is to create a dream kitchen for yourself or a kitchen that will appeal to potential buyers. Remodeling for resale means choosing materials that appeal to everyone, rather than choosing a particular style, especially when it is remodeled in your taste. It has to appeal to the buyer, not the seller. This means opting for stainless steel appliances that are high quality rather than professional-grade models. Spend on functional features like pantry drawers, cabinet drawers and and doors. Again, don’t over-personalize the space. The biggest mistake homeowners make is spending more on the remodeling project than their home value can support. Don’t expect to get optimum return on a $70,000 kitchen if the home is valued at $320,000. The wrong appliances for the area can bring down the perceived value of your kitchen and property. You must set priorities based on what sells a kitchen. Keep in mind cost of every project. Even if cabinets are outdated, is it worth the cost to replace them, or will changing out the hardware refresh the look enough to give the kitchen an updated appearance? No matter what changes you make in your kitchen with resale in mind, never compromise the architecture of your home. When you sell your home, buyers fall in love with the exterior of the home first. If someone really likes your traditional home and you put in a contemporary kitchen, you are setting yourself up for such a small number of buyers who are willing to live in a traditional exterior home and who will be happy with a very contemporary kitchen. Find out what attracts buyers. 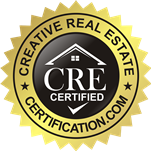 Research what is being marketed by the real estate professionals in your area and buy those. Sometimes, it is simply a color that is important, and sometimes it is a certain brand name. Keep the style and color scheme simple. Think neutral for countertops, cabinets, floors, back splashes and appliances. Go natural and subdued. Choose surfaces and fixtures that blend with many styles. Avoid extremes. Don’t cheap out, but avoid the highest end items and features. Open up the space. If you have a larger budget for your kitchen renovation and your floor plan is one that doesn’t allow the kitchen to open to other spaces in the home, it could be worth your while to knock out some walls. Add some “wow” factors. Convenience items impress homebuyers. Go for extra drawers, a pull-out pantry, stone or stone composite countertops. Lighting, such as under-cabinet fixtures, will add ambiance and show off materials in the kitchen. Go for granite. No matter the price range of your home, buyers want to see granite countertops. There’s no need to go for the most obscure, high-end slab. To the buyer, granite is granite. The tier of granite is not important. For further reading, see: Which Home Remodeling Projects Are Worth Your Money? I don’t plan to remodel my whole kitchen, as we don’t have the money. Can I just change the fixtures and maybe paint the outdated cabinets? Hi Susan! Yes, absolutely! Changing the fixtures, and a little paint goes a long, long way! Try checking out stores such as Lowes and Home Depot. They have many choices with varying prices. Be sure to stick with a classic design in terms of knobs and pulls, as it needs to be something that everyone will like, instead of choosing hardware that is aesthetically pleasing to only you. Get Your Fast Cash Offer – Click The Button Below and Submit Your Address Today!